Matt Breda of Loganville-based Breda Pest Management says that when old buildings are renovated or torn down, their rodent residents are pushed into other areas on top of existing rat populations. “If you’re taking away their home, they’re gonna find another home,” he says. Just like humans, rats love a live-work-play community or a new food hall. 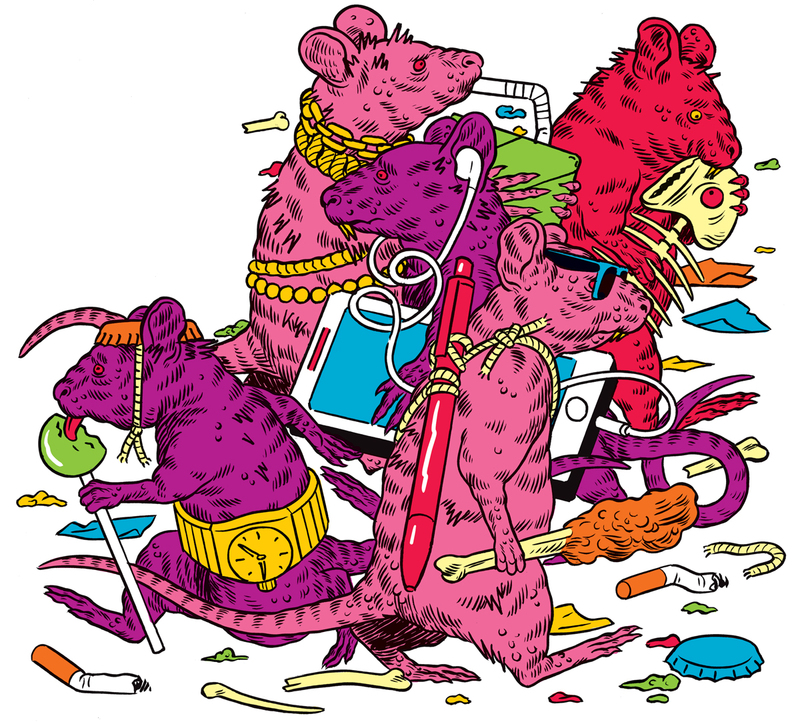 “Rats prosper when they’re around humans,” Waterbor says—and more people in an area means more trash to feed on and hidey-holes to cozy up in. The Board of Health says it received 279 rat complaints in 2017, compared to 432 in 2016. Its rodent program distributes bait, traps, and glue boards gratis to single-family homeowners. Waterbor says the biggest rat they’ve seen was probably 20 inches long, nose to tail. “Every now and then, you’ll see one the size of your forearm.” Earlier this year, Breda was trying to catch a large adult that had learned to evade traps and poisons after watching its siblings get caught. LifeLine Animal Project places free-roaming feral cats that the nonprofit has spayed, neutered, and vaccinated to help control rodent populations at equestrian stables, warehouses, and farms. A man recently requested a working cat to deal with a rodent situation in his car, says Gin Taylor, LifeLine’s Community Cat Program director. The group declined to help, she says.